Globalization has brought different cultures and languages closer to businesses. 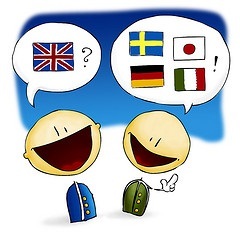 Wise language and translation choices are part of an international success. Few companies afford to ignore languages in their strategic work. Let’s go through five signs that show when the company’s language strategy might need some updating. 1. You don’t understand your customers. Providing good customer service is obligatory to all companies. An important part of any service is the ability to listen what the other part is saying. It is impossible to listen to the customer if you don’t speak the same language. Although this may sound absurd, the situation is reality for companies who sell their products and services in the internet. An online company can find customers anywhere in the world because the online world doesn’t recognize state borders. Recommended action: Find out what languages your customers speak. 2. You have no idea if all the material in different languages is up-to-date. Some companies have translated their marketing and product materials to several languages to serve their customers better. The only problem is that no one truly knows when the information was updated last time and in which languages. If the company is small there probably isn’t anyone working in-house who could check the material in every language. Outdated material is harmful to the business but the effect is often indirect, and thus the updating task is easy to postpone almost infinitely. Recommended action: Hire people to read the content in every language. 3. People don’t value your brand although your service or product is impeccable. People don’t necessary tell you spontaneously what they think about your company but their behavior reveals it every time. A good product or service is the basis of any successful business but it isn’t enough. The way the company communicates with all the potential customers is equally important. People always have other options to spend their money on if they feel that the brand isn’t speaking to them. Most successful companies have managed to adopt not only the language but also the correct communication style of their customers. Recommended action: Learn how your potential customers communicate. 4. Your company is operating internationally but only in English. Although you think your company is doing alright in the global markets, it’s always a good idea to re-think the language strategy every now and then. The same strategy that worked earlier or when your company was a start-up might not be ideal for your company’s current environment. It might seem that everyone speaks English but there are also other tremendously popular languages which have hundreds of millions users. If you choose to stick with your old one-language strategy, you will narrow your market and prevent potential customers to find your product or service. Recommended action: Re-evaluate your current situation constantly. 5. You’re looking for some global growth. Every company has a language strategy. Every entrepreneur has made a decision where she runs the business and which language(s) she primarily uses. The decision is often self-evident and automatic-like when the company is local. The next time to consider the language question is when the business turns global. 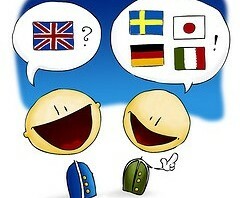 A local company and a global company have totally different language needs. The best outcome is achieved when language related issues are considered together with all strategic decisions. An after-thought language strategy tends to be expensive and laborious to execute. Recommended action: Think about the language strategy actively from the beginning. The old marketing and selling patter which urges to ‘listen to the customer’ is a good precept to follow. It reveals when the language strategy isn’t getting the attention it deserves. Make sure that your software speaks the same language as your customers. Multilizer Localization Tool simplifies the localization process and shortens the time to market. Learn more here. As a world language, English is fantastically useful. But by relying solely on our own language, we miss out on opportunities to cement relationships with our foreign counterparts. Making the effort to communicate with the locals is genuinely appreciated. It shows your partners that you’re trying to build lasting relationships. As much as anything, it shows them that you care!